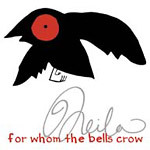 The followup to her ''Vertical Trees...'' album, Neila, an MC and La2thebay mainstay, comes back with an impressive album! Seemingly a more personal affair, there aren't any guest spots on this one but it does feature production from Deeskee, Old Joseph, DJ Presto, Porter, Dnae and more!!! Do not sleep, this is an album well worth the listen. So give it a chance, because If you missed her last album it's time to catch up. Production by Dnae, Omid, Deeskee, Parris Zax, Joe Dub and more!